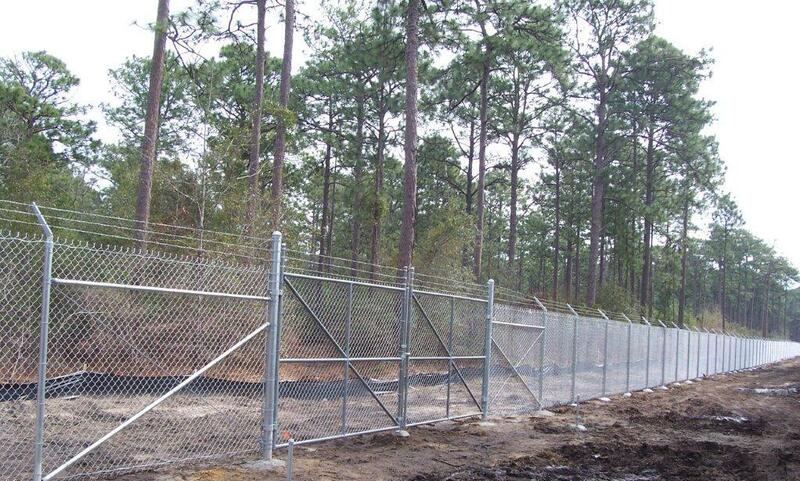 Beaufort MCAS – a classical Commercial Chain Link fence. this was installed at the Marine Corp base at Beaufort, SC. around the perimeter of the expansion on base. 6′ tall 9 gauge chain link with three strands of barb wire. Also pictured is a 10′ DD gate hung on 4″ posts for additional security also with barb wire and drop rod assembly – easily secured with chain and lock.